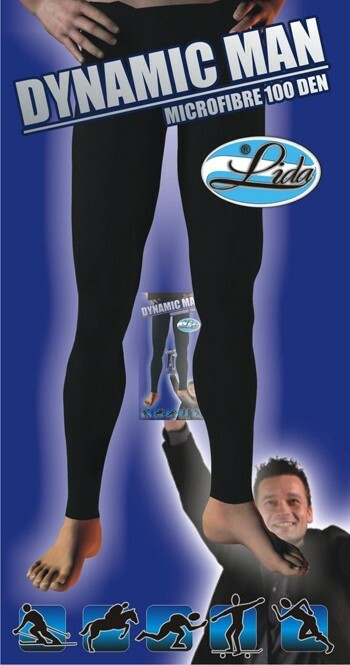 Footless tights for men for fall and winter season, and are designed to comfortably accommodate the male anatomy. These footless tights for men are made of soft microfiber, so they are comfortable, fit perfectly, and protect from the cold. Key features: front panel, flat seams. 5&apos;4" - 5&apos;7" 5&apos;7" - 6&apos;0" 6&apos;0 - 6&apos;4" 6&apos;0" - 6&apos;5"
Warmth and support for men. 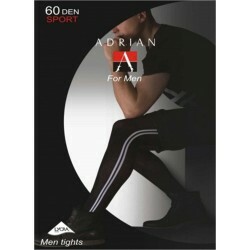 These are high-quality footless tights for men for fall and winter season, and are designed to comfortably accommodate the male anatomy. These footless tights for men are made of soft microfiber, so they are comfortable, fit perfectly, and protect from the cold. Key features: front panel, flat seams. Available in black color only.